JACKSONVILLE, Florida — Thursday evening’s matchup in the Midwest Regional at VyStar Veterans Memorial Arena is the ultimate David vs. Goliath story. It’s little ol’ Abilene Christian vs. Mighty Kentucky. New kid on the block vs. old hand. When No. 15 seed ACU takes the floor for its matchup against No. 2 seed Kentucky, the Wildcats will be playing in their first NCAA Tournament game; Kentucky its 178th. The Wildcats of the Lone Star State have obviously never won an NCAA Tournament game. The Wildcats from the Bluegrass State have won an NCAA-record 126 tournament games (against 51 losses). The bluest of college basketball’s bluebloods have won eight national championships and lead college basketball in total wins and winning percentage, while ACU has 66 wins over NCAA Division I teams to its credit since making the move from NCAA Division II membership to Division I affiliation prior to the 2013-14 season. It’s a primetime television matchup between one of the newest Division I members in the country and one of the four programs in the country by which all others are measured with Duke, North Carolina and Kansas rounding out the field. The game is set for a 7:10 p.m. EST (6:10 p.m. CST) tip time and will be broadcast to a nationwide audience on CBS with Ian Eagle, Jim Spanarkel calling the action and Jamie Erdahl reporting. Last year a No. 16 seed (Maryland-Baltimore County) took down a No. 1 seed (Virginia) for the first time in tournament history. 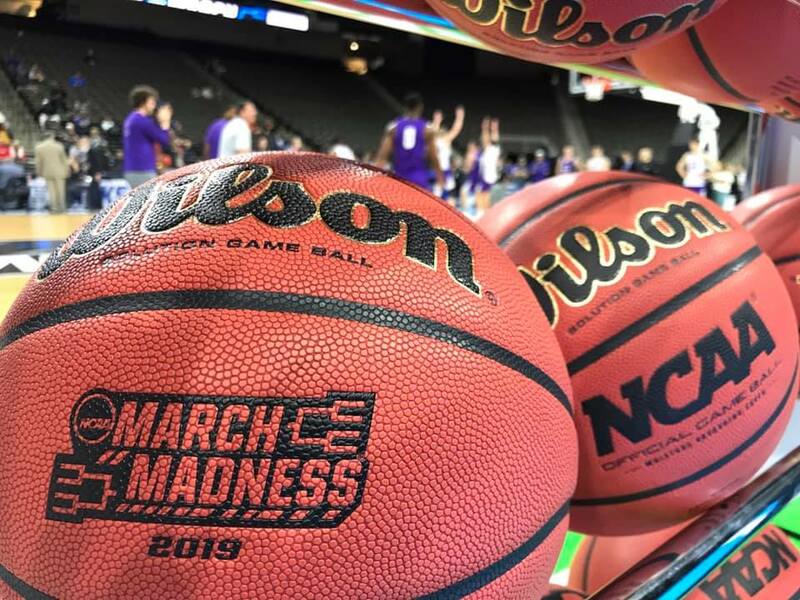 If ACU were to manage to pull off the upset of Kentucky, it would have to go down as the biggest upset in the history of the tournament and one of the biggest in college basketball history simply because of the brand of Kentucky basketball and the cache’ that name carries. Kentucky has a roster full of the best recruits in the country, although their best player — forward P.J. Washington — was injured in the SEC Tournament last week and was last seen in a walking boot. Head coach John Calipari said Washington would play Thursday, but that the team would be cautious with its star sophomore, who hails from Frisco. “Well, if he shows up to play in a walking boot and Coach Cal lets him play in a walking boot, we might have a chance,” ACU head coach Joe Golding said Wednesday. “If he takes the boot off, we’ve got a problem. He’s really good. He’s talented. He’s one of eight problems we have on their roster. They’re very, very talented. Aside from Washington and his 14.8 points and 7.5 rebounds per game, Tyler Herro is averaging 14.2 points and 4.5 rebounds per contest, while Keldon Johnson is at 13.4 ppg and 5.8 rpg and Reid Travis is at 11.1 ppg and 6.9 rpg. Kentucky limits opponents to 40.3 percent shooting (shooting 47.8 percent from the field themselves) and holds opponents to 65.4 points per game. The Wildcats of ACU, meanwhile, enter Thursday night’s contest coming off the greatest regular season in program history as they set school records for wins in a regular season (25) and conference wins in a season (14) and have tied the record for total wins in a season (27). Another win Thursday would shoot the program to a level heretofore unseen in the university’s history. Senior Jaren Lewis is one of three seniors — along with Jaylen Franklin and Hayden Farquhar — who have carried the team since two starters were dismissed from the team in late February. In each of the seven games played since then, one of those three has led the team in scoring, and while Lewis (MVP) and Franklin were each named all-tournament last week at the Southland Conference Tournament, it was two 3-pointers by Farquhar inside the final three minutes that sealed the 77-60 win for ACU over New Orleans. And it’s ACU’s ability to shoot the 3-pointer that has caught Calipari’s attention, no matter how little experience ACU has on the national stage compared to his team. “I’ve been in this thing a bunch, and I’m telling you, it doesn’t matter because everybody is 0-0 right now,” he said. “You don’t beyond anything else. All we’re worried about is Abilene Christian because they’re good enough to beat us. I watched their games and I’m impressed with how they play, both inside and outside. They defend. They make it hard for catches. They can take the ball away. They scramble the game up. They’re good. They’re very well-coached. And if it happens this year, little ol’ Abilene Christian will have made a huge mark on the college basketball landscape.